I really enjoy making bean bags and they're great for using up small scraps of fabric. I made these as a small gift for two very special boys who repaid me with the most beautiful smiles and cuddles when I visited! 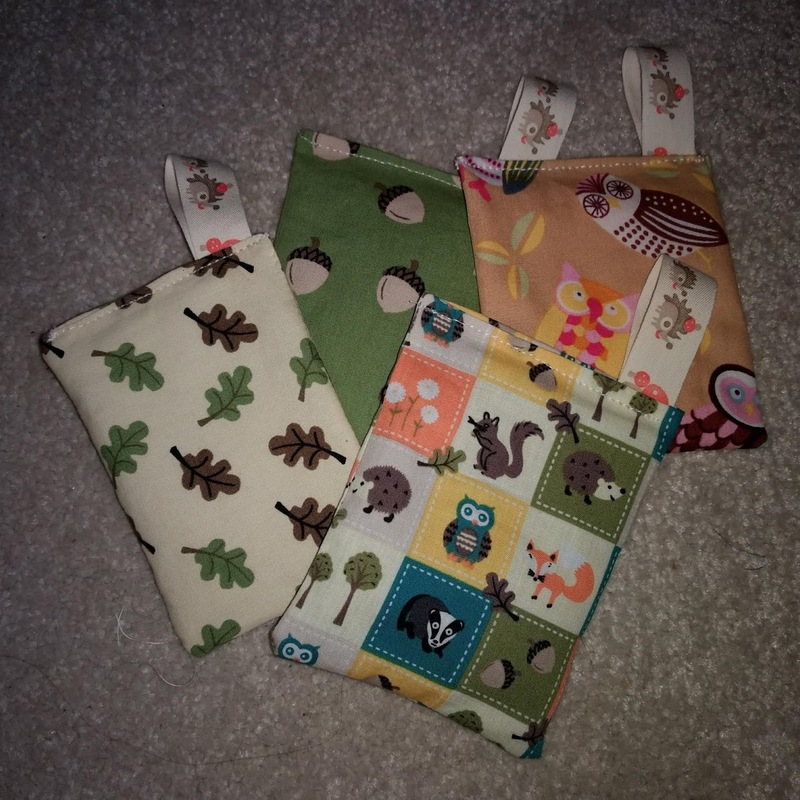 I stitch lentils into a felt pouch which then goes into another pouch of my chosen fabric. These ones were all different sizes due to the scraps being used so I added matching ribbon loops to each. Little hands love loops and this ribbon from The Works goes well with the woodland theme.